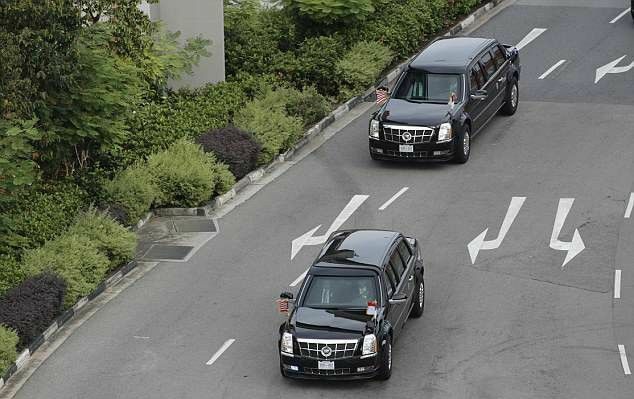 Donald Trump made an unscheduled stop after launch to show off his presidential limousine to the North Korean leader. 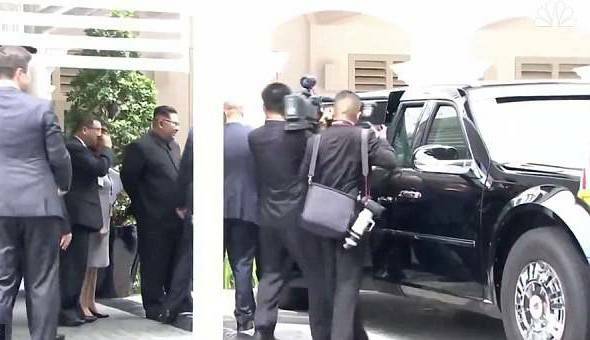 As the two leaders walks towards his presidential limo,a Secret Service agent opened the rear door, allowing the North Korean leader to take a rare look inside the $1.6 million vehicle. Kim’s smiles and nods shows that he was really impressed with what he saw. 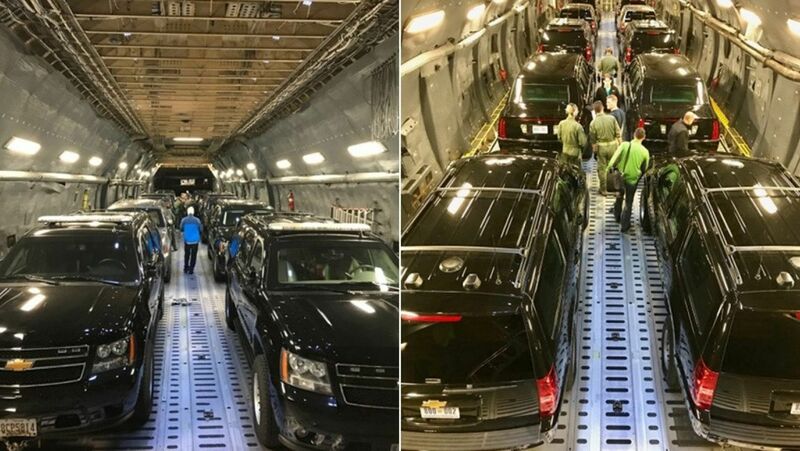 The beast travels everywhere with the U.S. president which is designed to survive a military-style or chemical warfare attack. 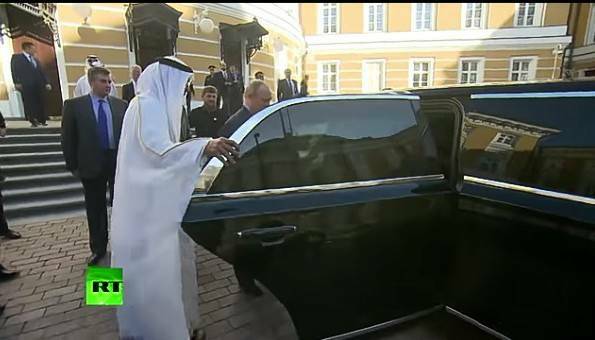 Other features includes a Kevlar tyres that run even if they are punctured with bullets and an oxygen system in the trunk in case of a chemical attack. "We had a really fantastic meeting." "A lot of progress. Really very positive. I think better than anybody could have expected. Top of the line. Really good". 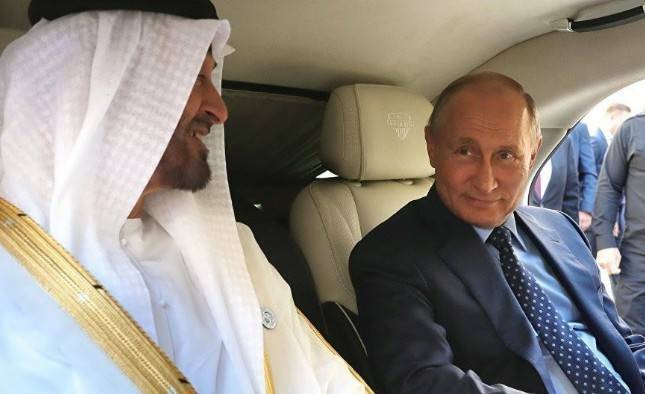 Russia's Putin also showed his armored Russian made limo to Abu Dhabi Crown Prince two weeks ago,and he was so impressed that he exclaimed "[img]Wow, how nice, It's better than my Mercedes"[/img] with excitement.